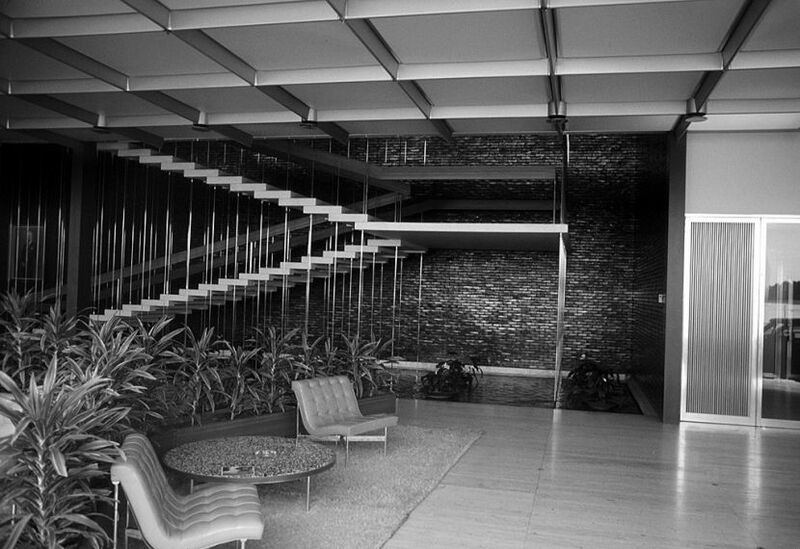 The company was trapped in the old Detroit offices too small and separated from each other making it difficult communication between the different brands, engineers, designers and artisans Fisher. We want to create a mega-center that would bring together all aspects of research and development of the company, eliminating delays and promoting collaboration between services. The Project Technical Center is launched. 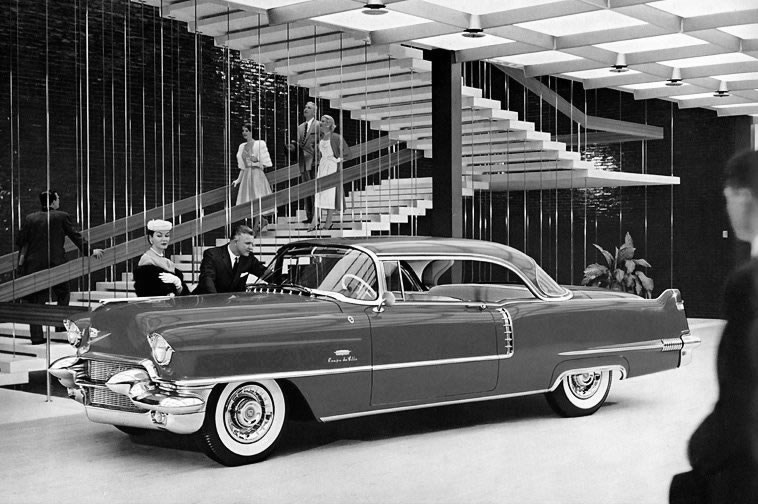 Before the war, GM had acquired 326 acres or 275.19 1319 m2 of land in Warren, Michigan. We chose this site to build the Technical Center. But we do not want a single industrial park, GM wants a modern technopolis. 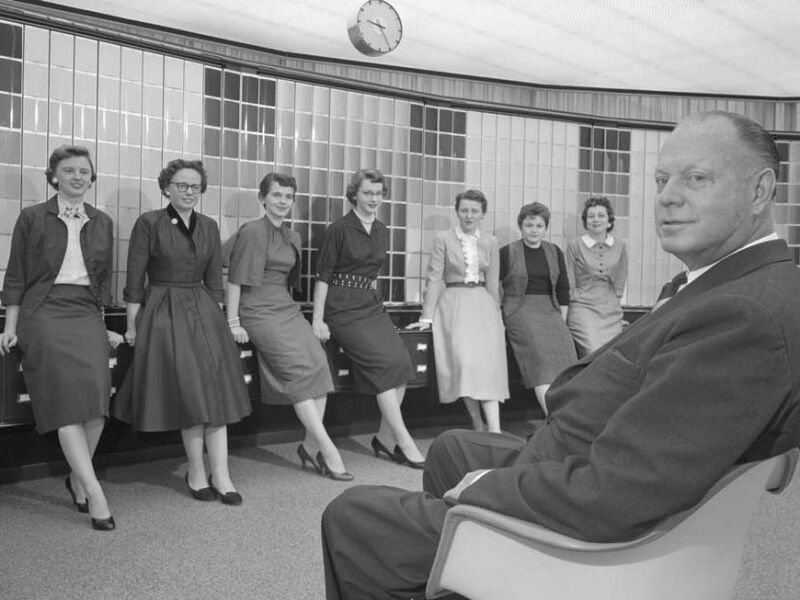 To do so, we turn to the new heading and reference GM, Harley Earl, to select an architect who could transpose the Earl vision and spirit of GM into a functional website. 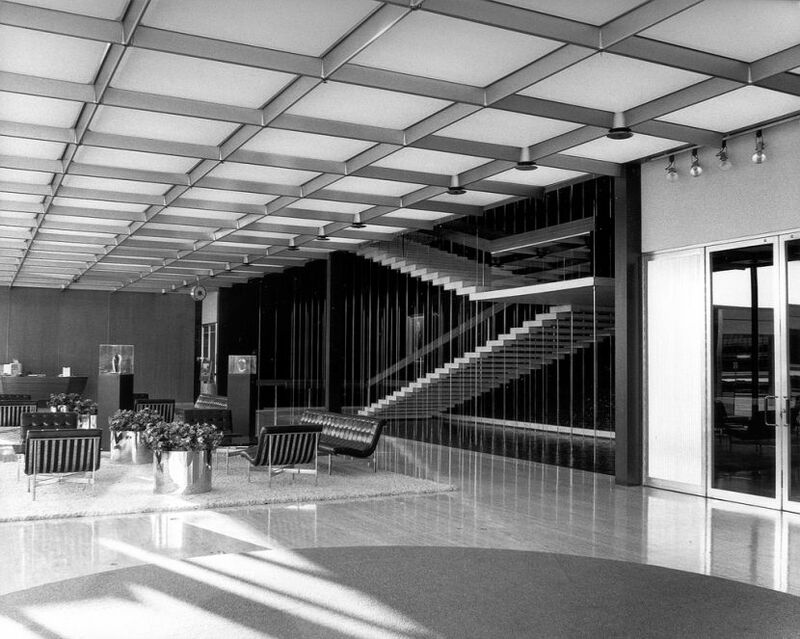 It will make its choice on a small Michigan firm Saarinen & Swanson. 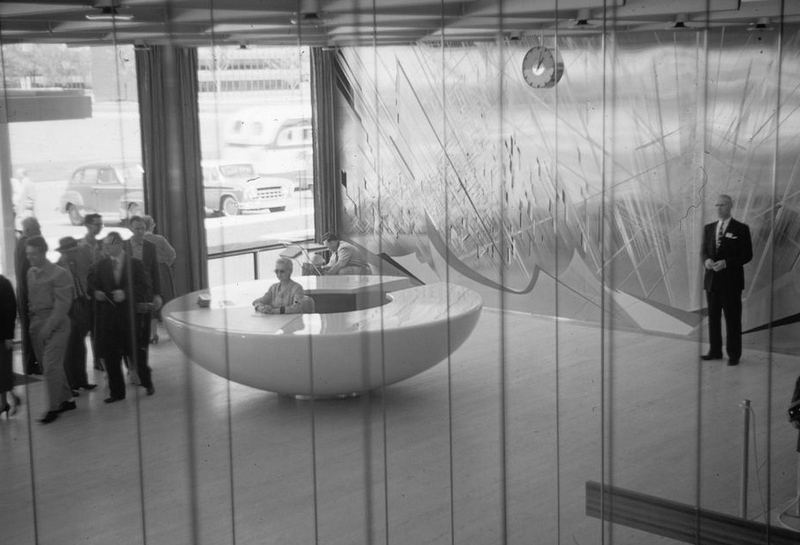 You may not be familiar name Eero Saarinen, but it is the designer of JFK in New York, which is in itself airport, a true work of art. 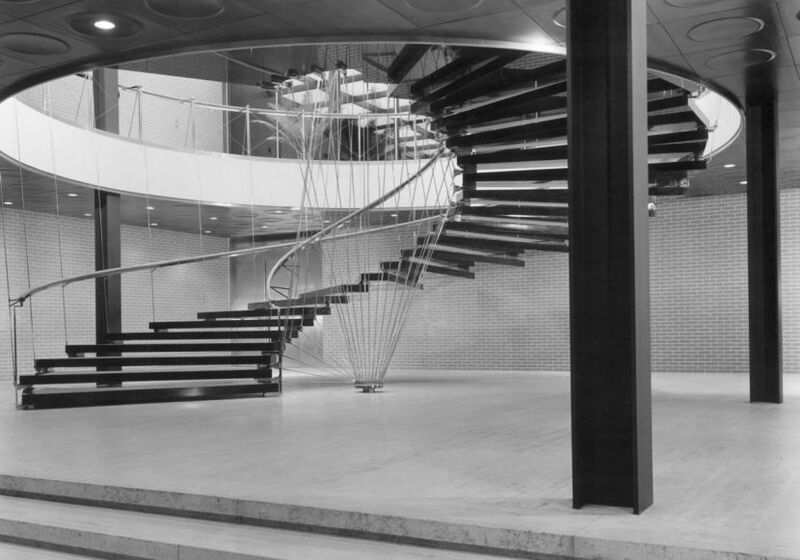 $ 100 million dollars later, the construction will be completed in 1956 and will be a revolution in industrial design. The insides of buildings will also be treated as the outside to provide a design environment for all the people who matter to Technical Center. The final version of the site is 813 acres large or 3290 094.27 m2, including a huge artificial lake which alone 20 acres or 80 937.1284 m2. 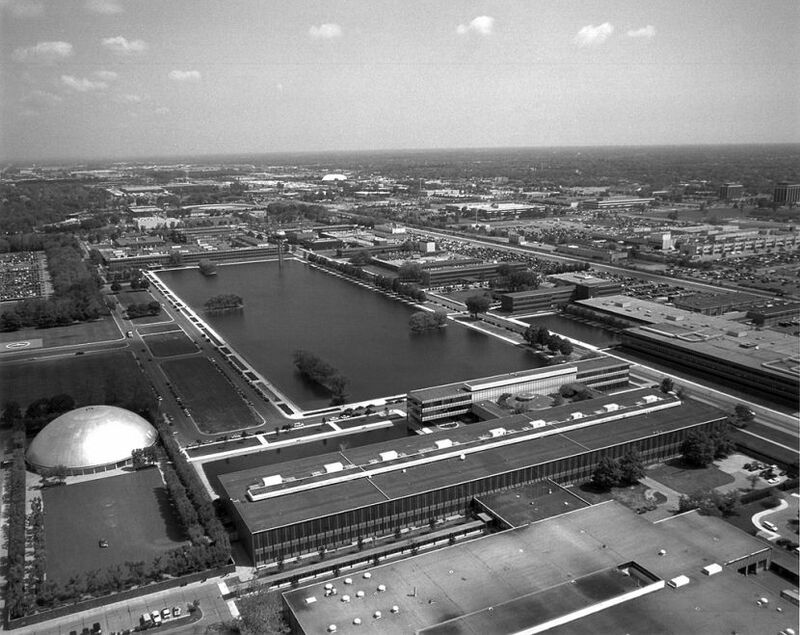 Saarinen sees the site as a huge campus for scientists and engineers. But normally, on college campuses, it moves up a site to another. But given the nature of the business, it will be in the car for 18 km of paved roads. We placing on several separate buildings, with 3 floors at most, with tall windows overlooking several parks. 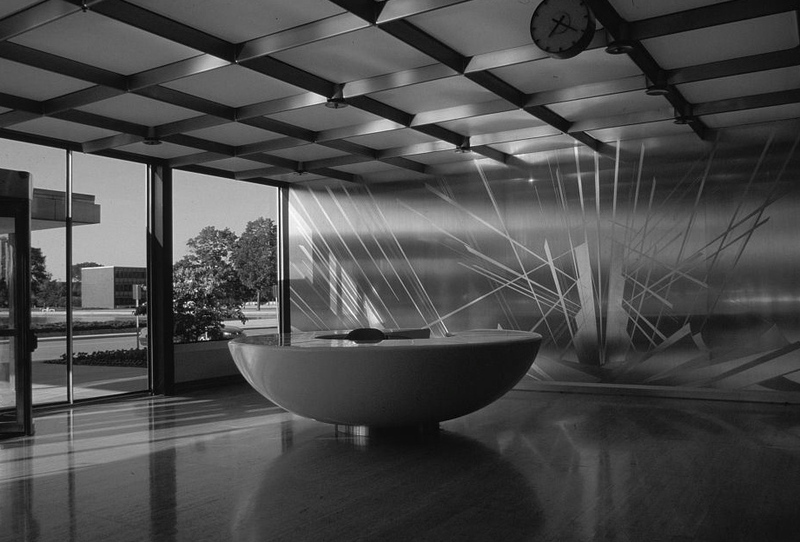 But the buildings are also the expertise of GM Saarinen base especially with the main construction material of an automobile, metal, glass and rubber. The windows are insulated with huge seals, and huge walls and ceramic plates garish color. The site behave in many research laboratories and manufacturing, most of the building have no pillar inside, and all the dividing walls are modular, maximizing workspace as possible. The most particular building is certainly complex Torque Wrench with wide columns resemble large exhaust pipes. 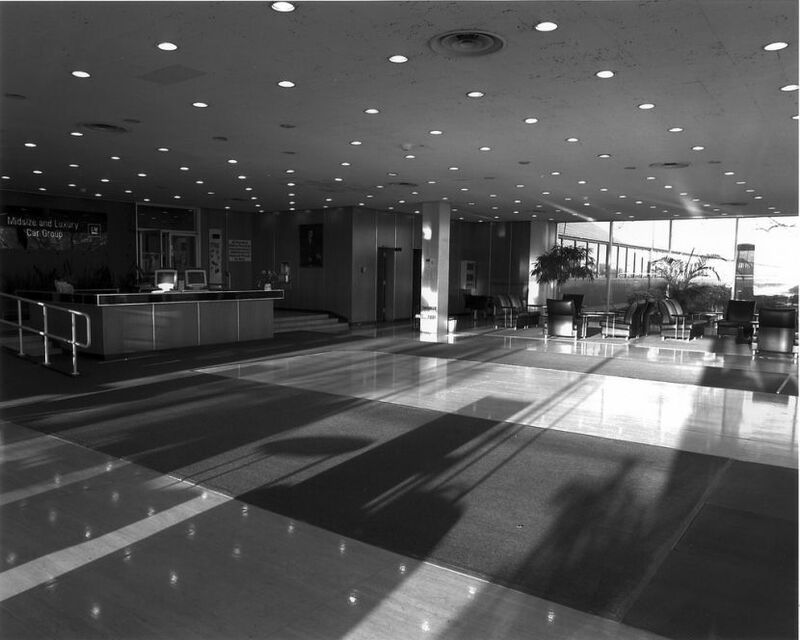 The major visual cues construction lobbies of the various administrative buildings are more modern and Harley Earl ensures that each building is art such as fountains, paintings and sculptures . 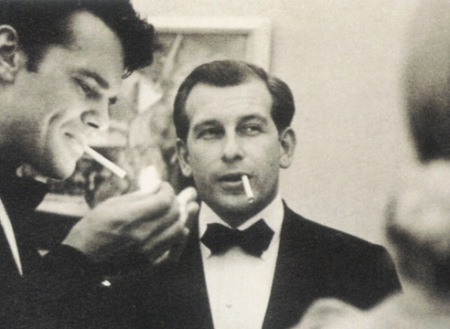 Everywhere on the site it is possible to observe the typical works of modern art from the period 1949 to 1956. 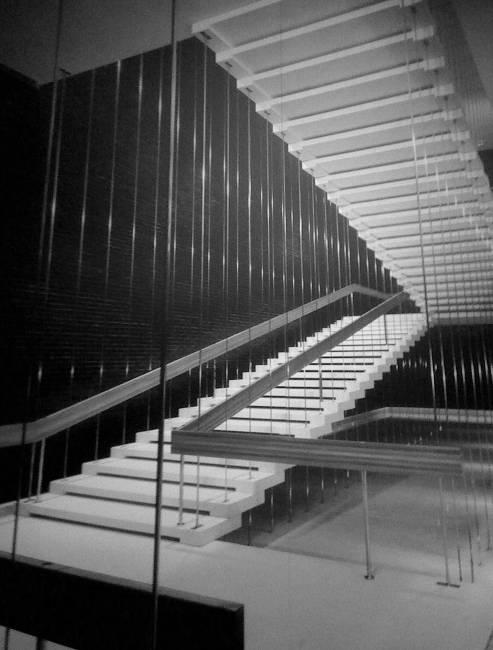 The main stairs of the site are marble weighing several tons and are simply used by thin steel backing, giving the impression of floating in the air. These are true works of art and are the result of great imagination and engineering prowess that fits perfectly with the spirit of GM. 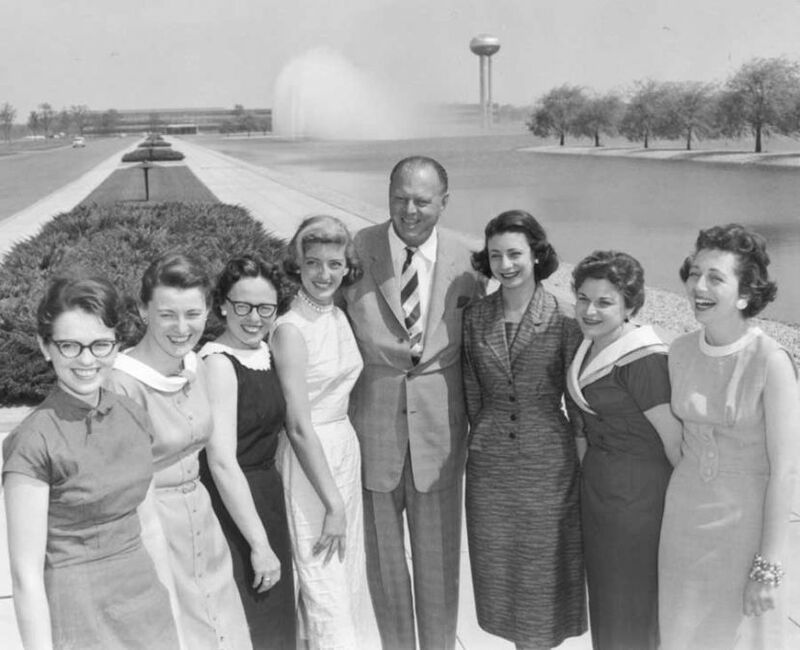 The GM Technical Center is lot of talk about him is President Dwight Eisenhower himself who makes the opening and the front of a crowd of 5000 people. 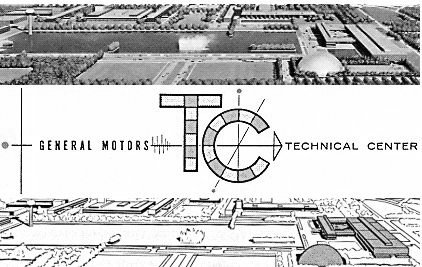 The Technical Center is internationally known for its avant-garde design and functional, winning architectural awards until 1986. 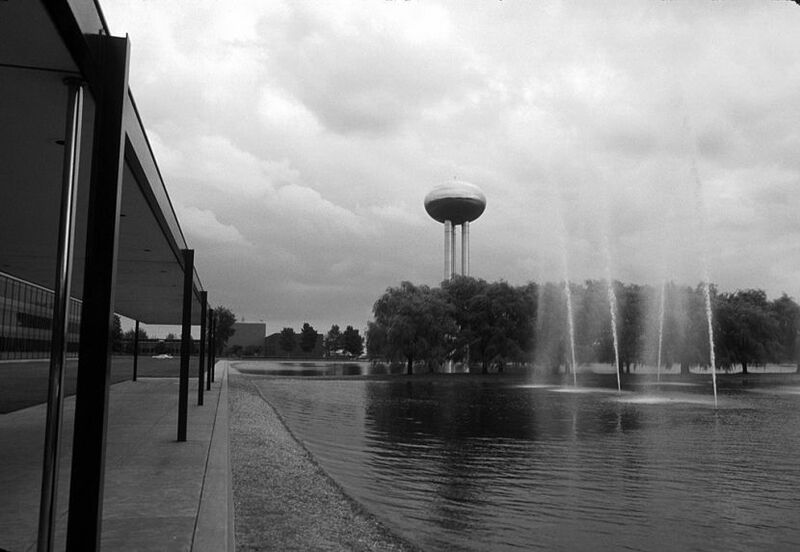 Saarinen and the huge water tower Technical Center, apparently the architect absolutely did not want to hide the structure that contains 250,000 gallons or liters 946352,945, so he arranged for it either more pleasant to watch. 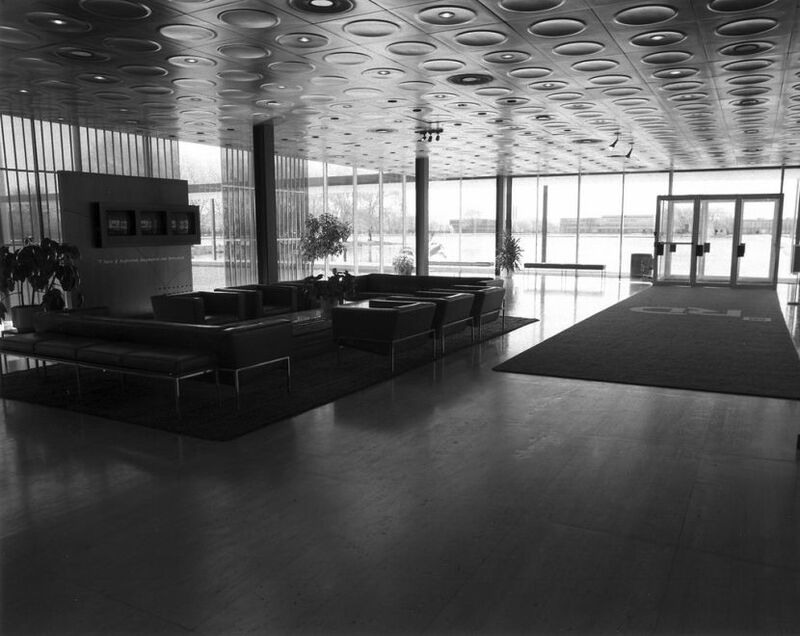 General Motors is proud of its site and describes it as the ChÃ¢teau de Versailles, the palace of the automotive industry. 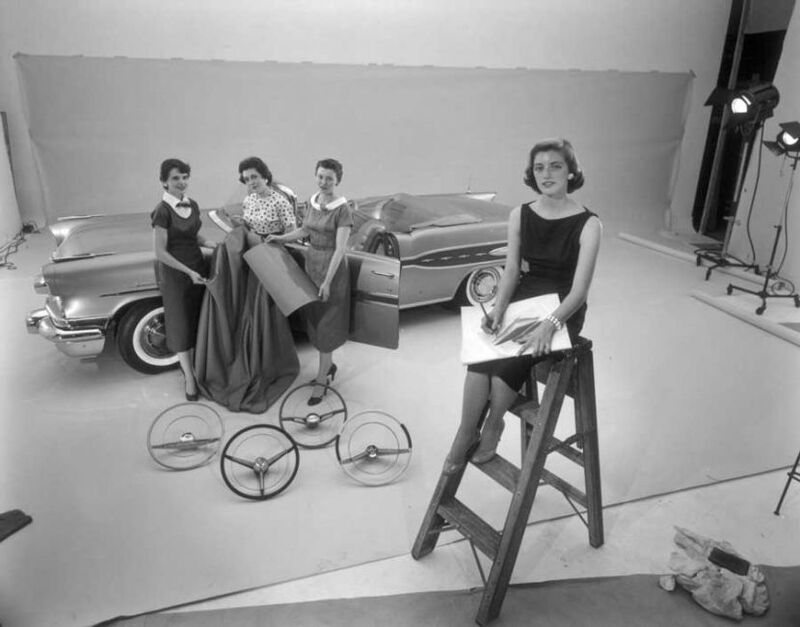 We can see that many commercials General Motors 1956-1957-1958 are photographed at the scene of the Technical Center. 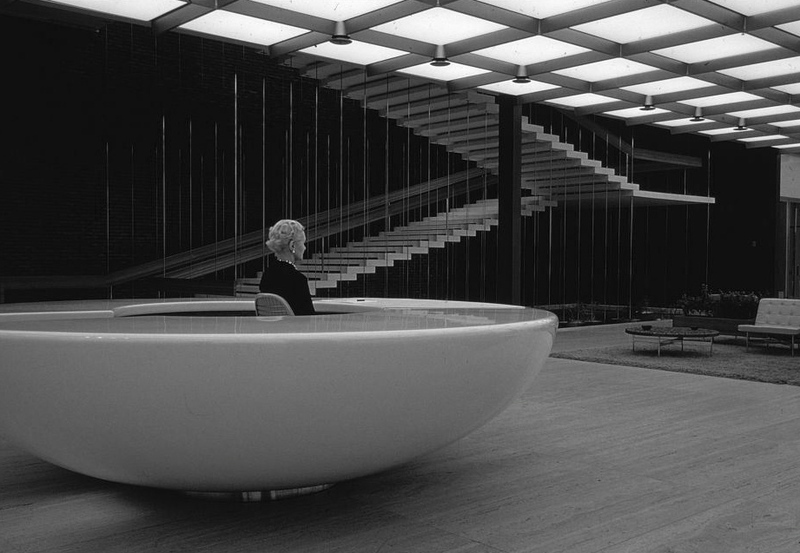 Saarinen designed all the buildings with enough space to put products GM presentation as art mistress. 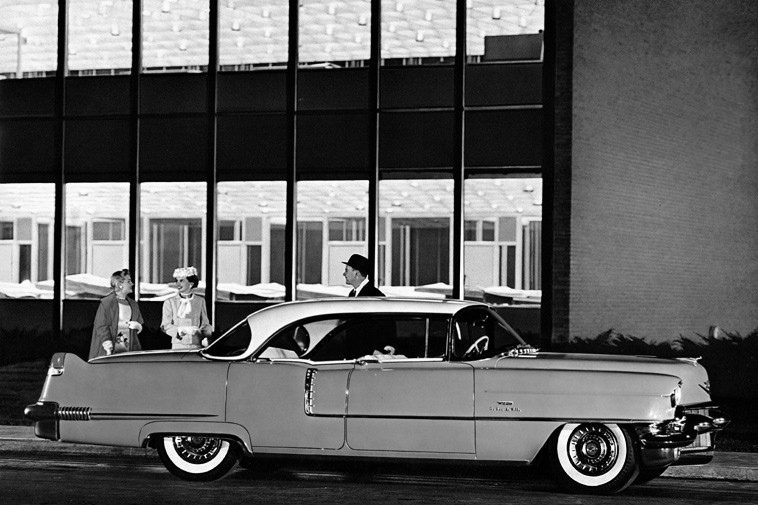 The site is a true playground for engineers, scientists, administrators and designers led by Harley Earl. 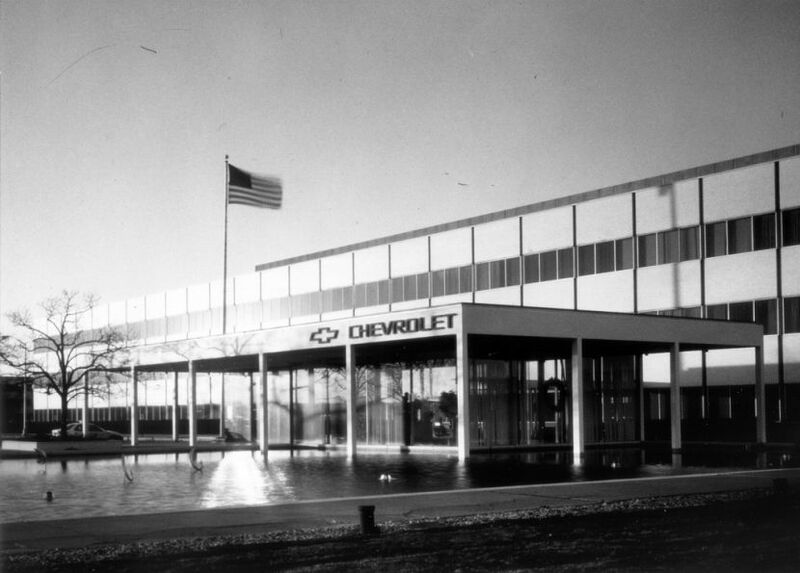 Chevrolet took the opportunity offered by the technical center and moved its office on the site of Warren, ranking next to the headquarters of Fisher, strengthening ties between the two divisions. 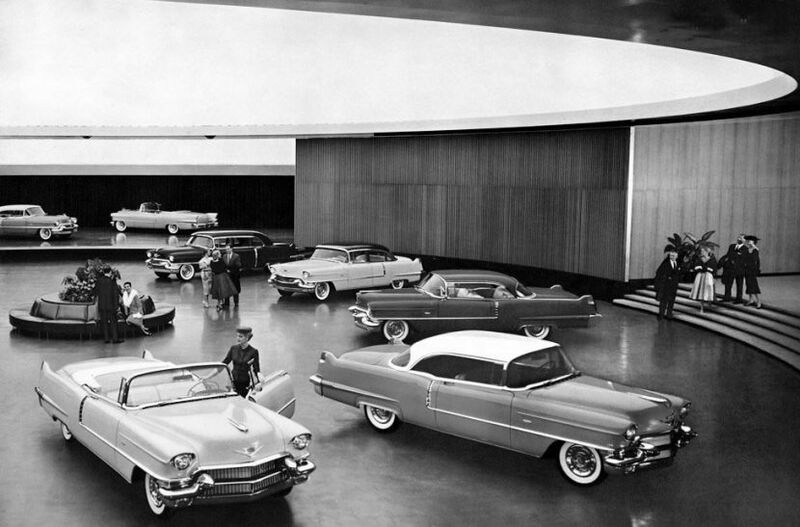 General Motors has made a gift, one of the most recognized facilities in the world and now part of the heritage of American design. 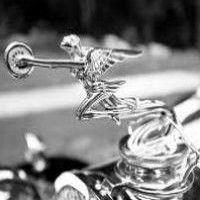 How can they convince the average American that its cars are really meant it? 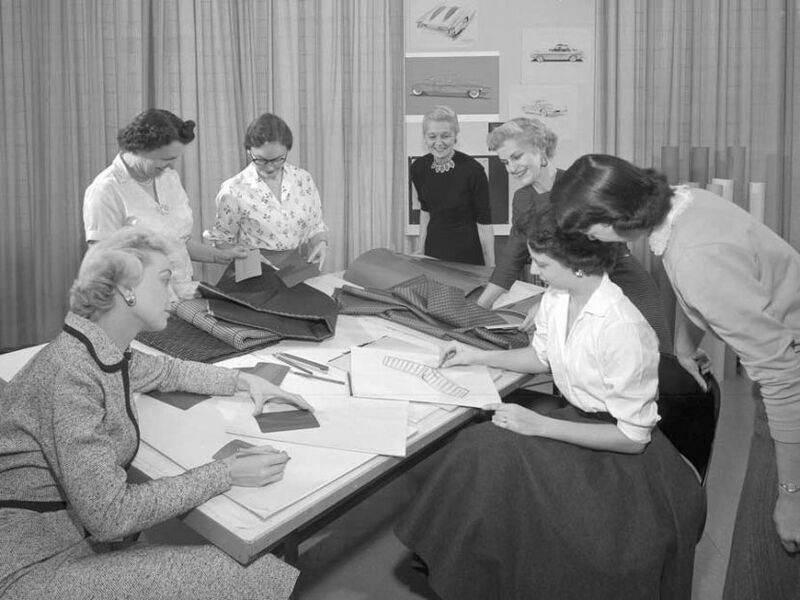 GM Public Relations photo highlighting four of the “Damsels of Design,” a celebrated group of women designers that were recruited in the mid-1950′s by Harley Earl, the legendary vice president of Styling at GM. 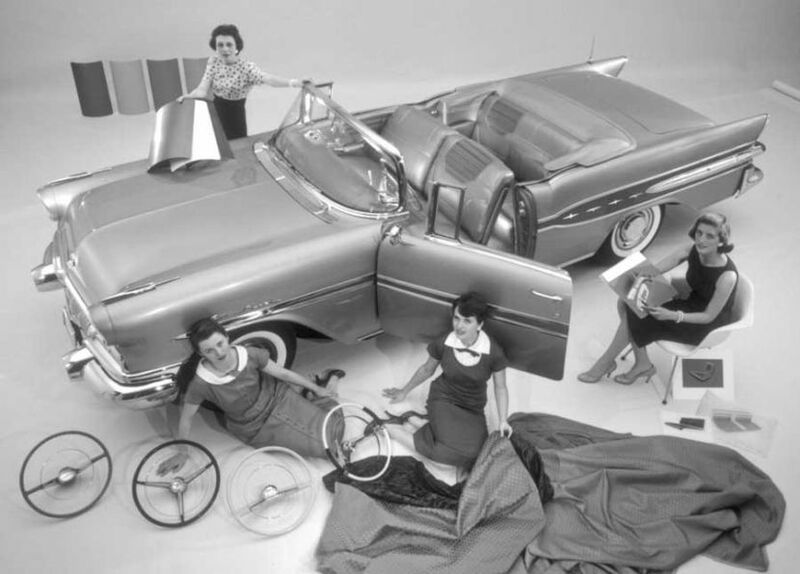 Left to right: Dagmar Arnold, Gere Kavanaugh, Peggy Sauer and Jan Krebs with a 1957 Pontiac Star Chief Convertible Custom Interior. Credit Photos : LIFE Magazine & Archives.